Art Gallery Cards: CentreStage and Ain't We Got Cardmaking Fun!!?? 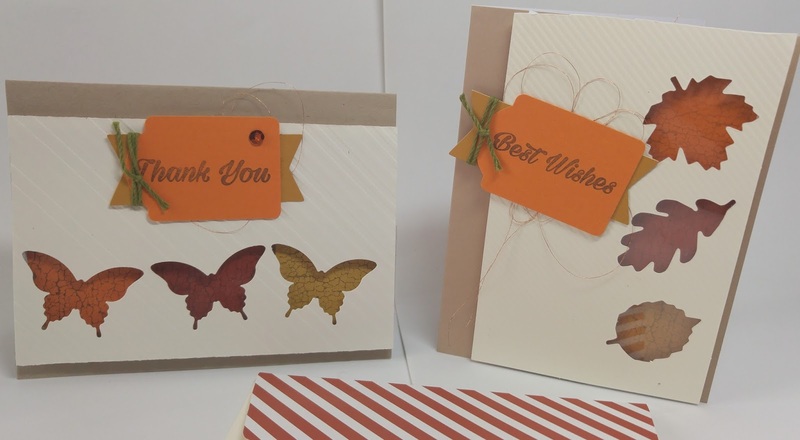 CentreStage and Ain't We Got Cardmaking Fun!!?? We had a wonderful time at CentreStage and OnStage last week and I believe that I can speak for everyone by saying you are going to love the new Occassions and Sale-A-Bration 2017 products. They are just beautiful and show wonderful planning and design on the part of the Stampin' Up staff!! Thanks to ALL of you, I was surprised with all of the award ribbons that you see on my badge. 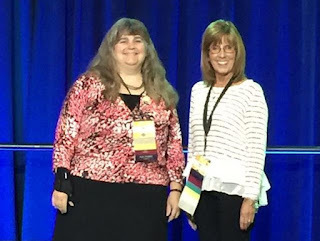 I'm pictured with Angie, who also achieved 100,000 Flex Points this year. I also received an award for hitting the $100,000 total sales mark. Sounds great but...there were Demonstrators that had earned $100,00 in just the past year. I had better get busy! LOL!! One of the best parts about attending CentreStage and OnStage was getting to meet new stamping friends, like Angie, who gave me the prototype for the Double Z Fold card that we'll be making on Monday!!! You will love it!! We were right back to class on Monday and Wednesday and here are some of our creations! 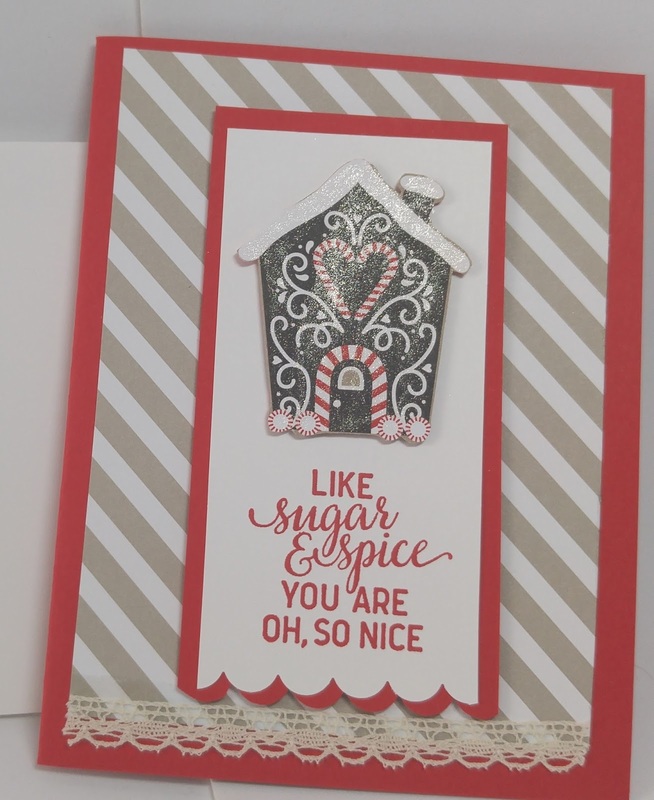 I love the Candy Lane Designer Series Papers! I've been using them for everything-2 Christmas cards, roommate gifts at CentreStage, and Downline Team Christmas gifts! So fun!! Which card is the Paper Pumpkin card? Long story short, I created kits for my afternoon Gallery class that coordinated with the November Pumpkin kit. The "real" card is on the left and the card on the right is the card that I replicated so that we could do the same projects in both classes. The third person to email the words candy cane will win a fun little something. It turned out great, thanks to the Paper Pumpkin kit including ink, adhesives, extra beads and sequins, Baker's Twine and the great idea!! 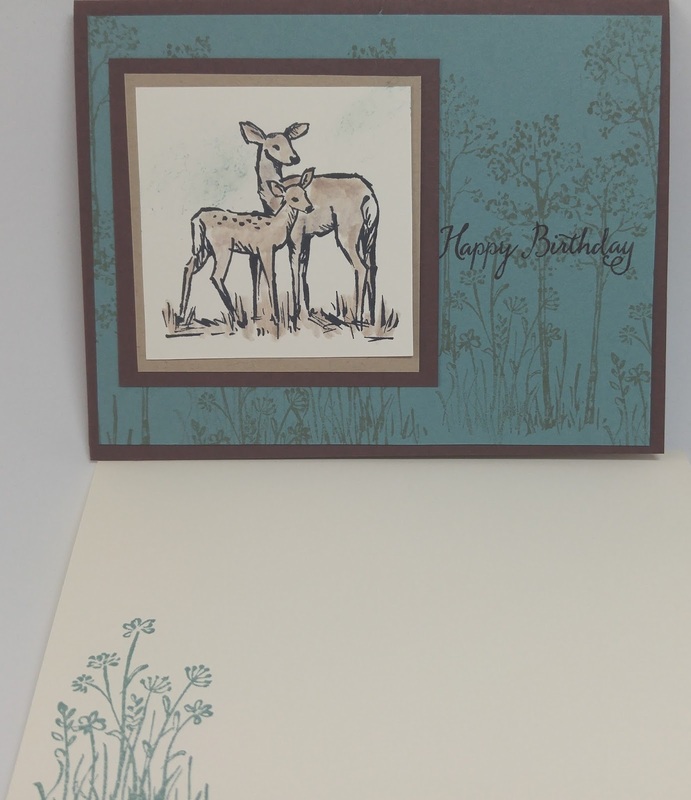 I FINALLY ordered the In the Meadow stamp set and we made the card below in Titusville on Wednesday. (We'll also be making it in the Art Gallery Cards classes this coming Monday. Confession: I used my stash of Lost Lagoon cardstock (now retired--sniff!) to help to create a neutral/masculine birthday or greeting card. We used blender pens to shade our doe and fawn. 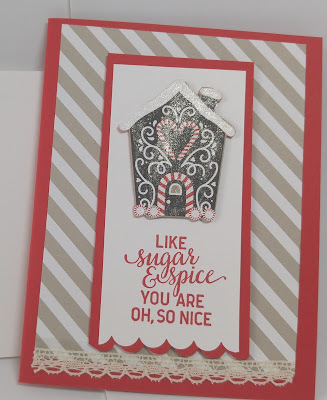 I case'd this card from Sage Kimble of stampingmadly.com Of all the cards I saw online, I love hers the best so here it is! !